This combination of a Theory clinton marled ponte jacket and blue jeans is so easy to pull together in next to no time, helping you look sharp and ready for anything without spending too much time digging through your closet. When it comes to footwear, this outfit is finished off nicely with brown suede loafers. 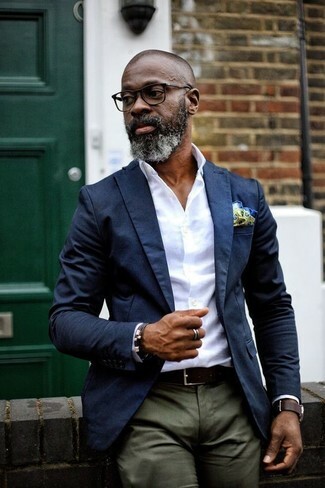 This combo of a Theory Clinton Marled Ponte Jacket from Nordstrom and olive chinos is very easy to pull together without a second thought, helping you look amazing and ready for anything without spending a ton of time combing through your closet. 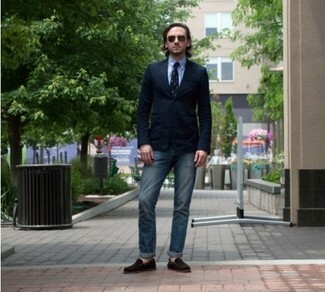 If you're on the hunt for a casual yet sharp look, consider wearing a Theory navy blazer and light blue skinny jeans. As well as super comfy, both of these pieces look great together. White leather low top sneakers complement this ensemble quite nicely. As you can see here, ensembleing on-trend doesn't require that much effort. 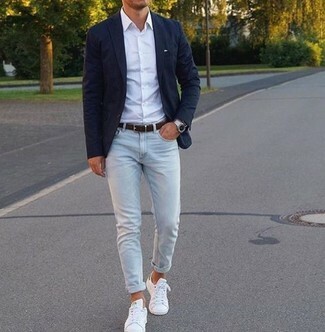 Just reach for a navy blazer and black vertical striped chinos and you'll look amazing. Bring instant glamour to your ensemble with black leather oxford shoes. 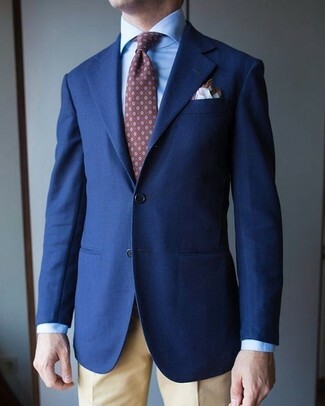 Consider teaming a navy blazer with khaki dress pants for incredibly stylish attire. As you can see, being a dapper dude doesn't take that much the place of work. 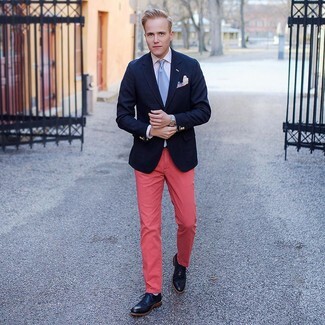 Just pair a Theory Clinton Marled Ponte Jacket with hot pink chinos and you'll look wonderful. 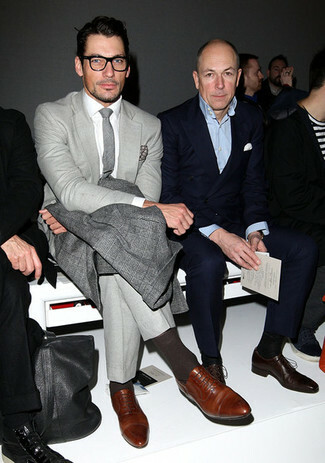 When it comes to footwear, this look is round off wonderfully with black leather brogue boots. For a casually elegant outfit, pair a Theory Clinton Marled Ponte Jacket from Nordstrom with burgundy chinos — these two items go nicely together. Turn your sartorial beast mode on and opt for a pair of dark brown leather oxford shoes. 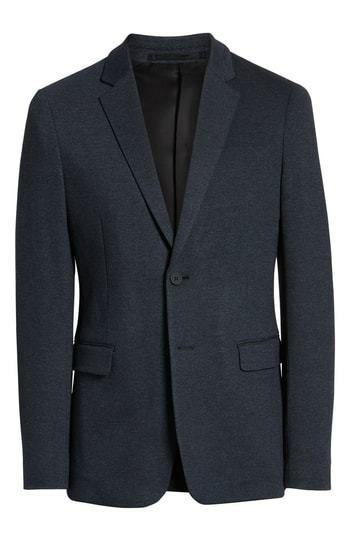 Wear a Theory Clinton Marled Ponte Jacket with navy dress pants for incredibly stylish attire. You could perhaps get a little creative in the shoe department and dress up your ensemble with brown leather oxford shoes. Nail that dapper look with a Theory Clinton Marled Ponte Jacket from Nordstrom and blue dress pants. 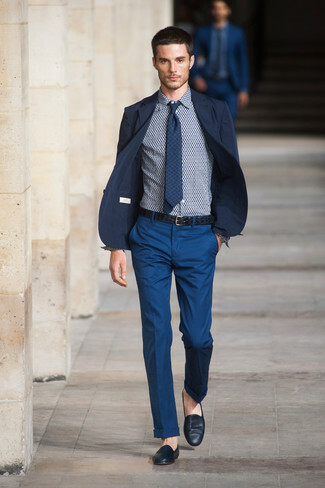 To break out of the mold a little, go for a pair of navy leather loafers.